Christian Louboutin's $675 Nail Polish Is Totally Insane, So Why Not Save Up For a Pair of His Shoes Instead? Much fuss has been made of Christian Louboutin's nail polish collection, which debuted this past July. While the nail colors and the cool elongated bottles they come in are gorgeous, they're also priced at $50 a pop, which is super high, even for a luxury polish. However, $50 seems like chump change compared to the $675 polish that Christian Louboutin released for the holidays. That would be some stocking stuffer, huh? The limited edition Starlight nail lacquer contains the brand's signature Rouge Louboutin shade — yeah, it matches those famous red soles — in a special bottle studded with "1,500 hand-applied, two-tone Strass crystals," according to Cheryl Wischhover of Fashionista. Starlight comes in a sleek black and red box decorated with two leather and crystal flowers that echo the design of Louboutin's Pensamoi sandals, so I guess it's kind of like owning a pair of the designer's shoes? Yes, $675 is an insane price tag for a tiny bottle of nail polish, but what I find really troubling here is the fact that you're just paying for the lavish packaging. You can snag the exact same shade of red for the aforementioned $50 and, to be honest, I prefer the sleeker look of the non-crystal version because it's edgier. Even if you dig the whole "glittery crystals" thing, I'm not sure why you'd drop more than half a grand on a beauty product that won't last you. 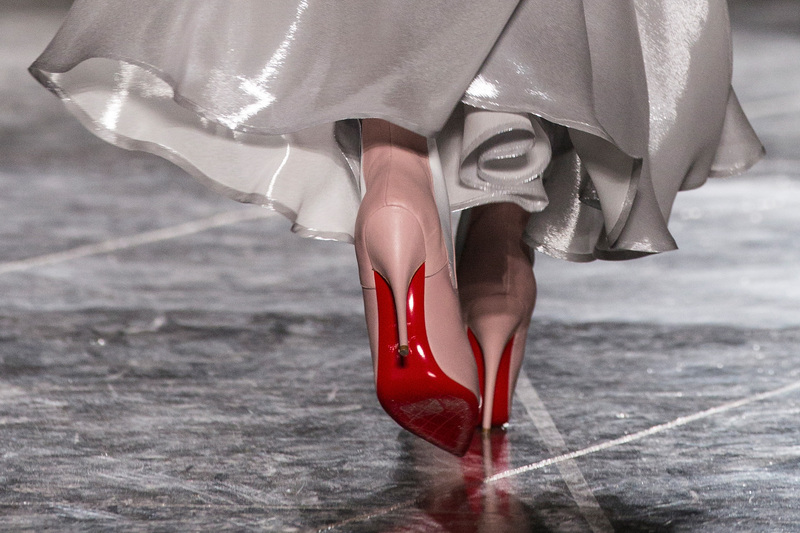 If you're that much of a devoted Louboutin fan, why not put the $675 toward a pair of pumps instead. At least you'll have those for years to come.